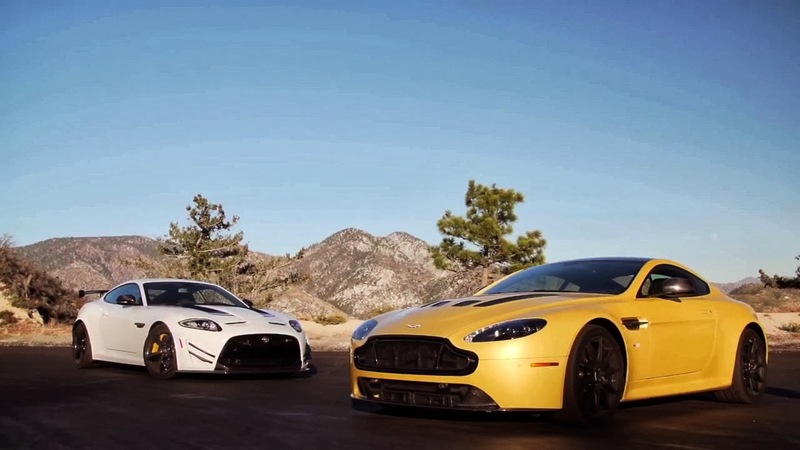 Motor trend has decided to put against each other one of our favorite British supercars: the Aston Martin V12 Vantage S and the Jaguar XKR-S GT. The result is 19 minutes of pure driving. Here's a quick refresher about both cars. The Jaguar has a supercharged 5.0-liter V8 producing 550 horsepower and 502 pound-feet of torque, weights 1850 kg (3,968 pounds), does the 0 to 100 Km/h (62 mph) sprint in 3.9 seconds and has a top speed of 300 Km/h (186 mph). The Aston Martin has a naturally aspirated 6.0-liter V12 producing 565 Hp and 458 pound-feet of torque, weights 1614 Kilograms (3,560 pounds), does the 0 to 100 Km/h sprint (62 mph) in 3.7 seconds and has a top speed of 329 Km/h (205 mph). So who's the winner? video after the jump!